Meet highly flexible Magento one step checkout solution with maximum efficiency. 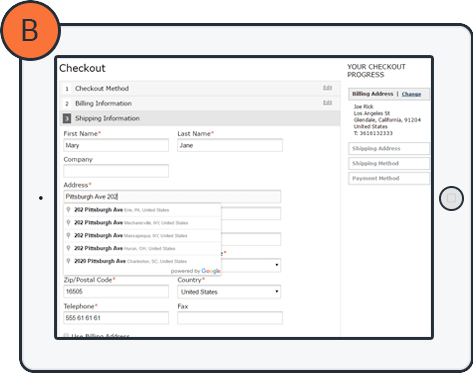 FireCheckout module provides your customers with only 1 checkout step instead of default Magento 6. No more boring steps with slow loading navigational elements. 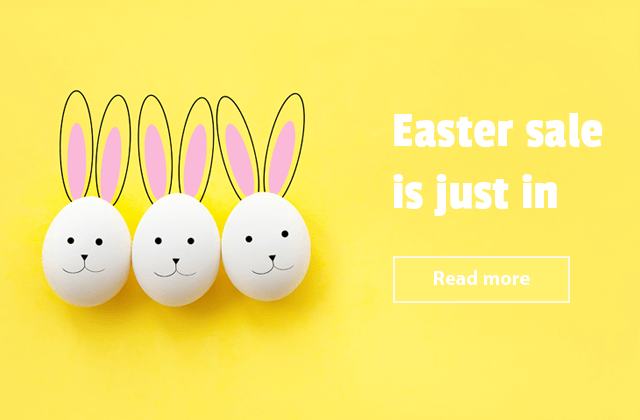 Our extension is the most feature-rich checkout modules on the market. 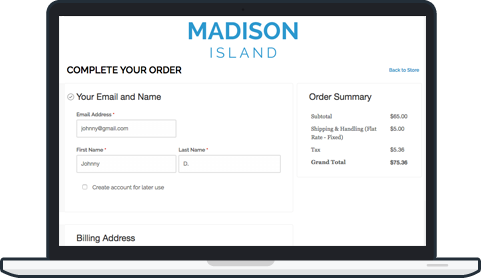 With built-in Ajax functionality you will navigate visitors through the checkout lane faster without page reloads. We create and developed Fire Checkout extension for both Magento 1 and Magento 2. Please notice that not all Magento 1 features were migrated to Magento 2. Please check comparison page more details. Fire Checkout extension also offer support for Magento Enterprise edition without extra charge. Meet highly flexible one-page checkout solution with maximum efficiency. 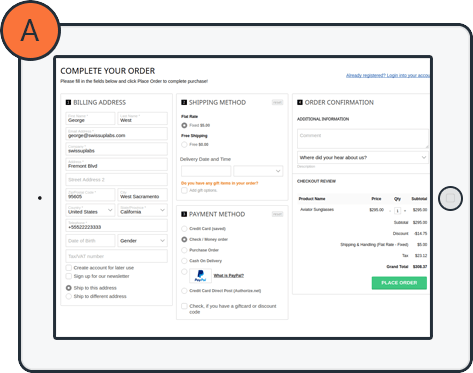 FireCheckout module provides your customers with only 1 checkout step instead of default Magento 6. No more boring steps with slow loading navigational elements. Responsive and responsible developers. Communications are prompt and very dedicated team.Good, robust and responsive support from their developer. Problem with payment gateway was solve in and within 24 hours, weekend. E-commerce is going mobile. FireCheckout module catches a trend with well-designed responsive checkout page layouts that seamlessly work on any device. Whatever layout template you choose, you deliver the highest rate of engagement for desktop, mobile & tablet users. We offer free installation for Magento One step checkout module. Need help with installing FireCheckout or any third-party module? Our team will provide you with professional installation after placing your order. We do guarantee 48 hours installation for requests submitted in business days and 72 hours for weekends' requests. Don't pay extra when you buy a FireCheckout extension. We offer the one license for five installations of the module on different Magento stores. Once buy an extension you receive the 1 year of free support and updates. Every month we provide you with updated module release you might need to improve the checkout process in your store. 5 Checkout Designs That Convert. Choose What Works The Best For Your Store. Considering the fact that every store has it's own needs and expectations, we do understand that one checkout page layout is not enough. In order to offer the design fit exactly your store, we provide you with 5 modern and smooth checkout page designs. And more than 100 shipping & payment Magento modules from other companies! With our module, you can suggest different ways your customers pay for the services in your store. FireCheckout is a leader in third-party modules compatibility. Over 95% of all popular payment, shipping, and other modules are already supported. If you request an integration for the new module you will get it for free. Our extension supports most popular payment modules such as: 2Checkout_Payment, Adyen_Payment, Billmate, Billpay, Bitpay_Bitcoins, Braintree, Braintree_Payments, CheckoutApi_ChargePayment, Craig_Tco, Customweb_PayUnityCw, Ebizmarts_SagepaymentsPro, Ebizmarts_SagepaySuite, Gene_Braintree, HeidelpayCD_Edition, IntellectLabs_Stripe, Itabs_Debit, Iways_PayPalPlus, IWD_OPC_Signature, Klarna_KlarnaPaymentModule, MultiSafePay_Msp, Netresearch_Billsafe, Netresearch_OPS, Paymill, Payone_Core, Phoenix_Ipayment, Phoenix_Wirecardcheckout, Radweb_Stripe, SVMPayment, TemplateTag_Stripe, Vaimo_Klarna, Xonu_Directdebit and much more modules created by other developers. More detailed information about compatibility can be found at Fire Checkout documentation page. Struggling to make more completed sales? Choosing Firecheckout will be beneficial for you. We bet you will improve the checkout process and increase your income.